Well, maybe more of a musing. I’m not sure yet. I’ve been thinking a lot about yesterday’s post; thinking about the arrogance of the Man of Sin who will presume to place himself above God. In his arrogance, he will demand to be worshiped above all other gods. His evil will be unsurpassed in the annals of human history. His spirit of lawlessness will be unmatched. It’s that “spirit of lawlessness” part that’s really lodged in my heart. The Apostle Paul made it clear in II Thess. 2 that this spirit is already working, and has been working, in the hearts and minds of all humanity. Adam and Eve gave in to the spirit of lawlessness, and condemned the entire human race to a constant battle between obedience to God and obedience to self. Cain allowed the spirit of lawlessness to overtake him because he was jealous and felt sorry for himself. The people of Noah’s day ate, drank, and married in a complete spirit of lawlessness, which God drowned in the Flood. And yet, very soon after that cataclysmic event, the spirit of lawlessness was still alive and well in Noah’s son who saw him drunken and naked, and mocked him. If I were to recount every example of the lawlessness in the heart of man recorded in the Bible, we’d be here for a very long time. So let’s take it to where the rubber meets the road. How about you and me? Aren’t we just as guilty? I had a client who is in imminent danger of doing jail time for shoplifting. Her attitude has been, “Well, if the people in the store are too stupid to watch me, then they deserve to get ripped off. And I shouldn’t have to spend time in a checkout line, anyway. I have better things to do with my time.” She also admits to road rage, to finding ways to avoid the rules of the road; and finally, that all her life she has felt she is above the rules that other lesser people have to obey. When I pointed out the arrogance of her thinking, she was startled and upset. She denied thinking she’s better than others. Eventually, though, she saw the truth and was horrified to realize that she did indeed harbor a spirit of lawlessness, holding herself above the law because the law is inconvenient. She’s not the only one. The Bible warns us of thinking more highly of ourselves than we ought to think. Isn’t that the very thing that got Lucifer kicked out of heaven? There are so many way this spirit of lawlessness manifests itself. In churches, there are pastors who hold themselves above their people; there are people who hold themselves above their spiritual leaders. Chaos is the result of such lawless thinking. In government, when one man or a group of men deem themselves better able to do our thinking for us than we can possibly do for ourselves, chaos results. In personal relationships, when one person believes his own need, opinion, or emergency supersedes everyone else’s, then he is guilty of the spirit of lawlessness. In families, when one member deems his own importance more than all the rest of the family, he is guilty of lawlessness. Parents who put their own desires before their children’s needs; children who refuse to submit to the authority of the parents; husbands and wives who refuse to submit to each other’s needs—-it’s all in the spirit of lawlessness. What I’m trying to say here is that no one is immune; no one is beyond the influence of the most lawless one of all, Satan, who has made every conceivable effort to overthrow God and who will not give up until God Himself says, “ENOUGH!” We cannot in any way point the finger of righteousness at anyone else, because our hearts are all deceitful above all things, and desperately wicked (Jer. 17:9). Ephesians 4: 17-32 is a powerful, convicting passage that we should all meditate over, pray over, and obey. We are, as believers, to “put off the old man.” We are to take off the old nature as we would take off a coat or an outfit; we are to destroy all the evil of the old clothing, and replace it with the new nature of the Holy Spirit that indwells us when we are born again. Some of the things we need to take off include stealing, lying, sinful anger, corrupt talk,bitterness, wrath, clamour, evil speaking, and malice. We have a lot of work to do. The good news is that we can, through the filling of the Holy Spirit, get the victory over the spirit of lawlessness. Galatians 5:22-26 teaches us what obedience to God can do in our lives. So there you have it–my rant that has been brewing since yesterday. And now I’m done. More and more, I hear myself telling my clients, “You have to learn to let it go. Don’t rent space in your head to junk. You can’t change the other person, but you can change the way you react to him. Know who you are, understand your own value and worth, and learn to let Miss Arrogant’s rude and self-centered attitude and comments slide off of you. She will only bug you if you allow yourself to be annoyed. Say you’re at a party, and an arrogant person is introduced to you. He’s going to go through the usual niceties, and you’re probably going to ask him a question about himself. After that, you won’t have to say much. Instead of allowing his arrogance to annoy you, just listen patiently. It’s surprising how often these people really do have interesting things to say. When you reach the point of “had it!” it’s easy to simply tell him how much you’ve enjoyed meeting him, but that you just saw someone you really need to chat with, and graciously move on. Don’t worry about hurting his feelings. He’ll soon be boasting to someone else. But what if you work with Miss Big Shot? What if you have to spend time listening to her bloviate about her own merits? Get really busy. “I’m sorry, I’m going to have to interrupt. I need to see several other members of the team today. You take care!” And off you go, looking extremely pressed for time. If all else fails, get on your phone with someone and make it clear that you can’t be interrupted. You really don’t have to be held captive by someone who understands no one else’s worth but her own. Do you ever have to simply be rude? Probably. But when that happens, I try to be as politely rude as possible. Smile. Say, “Well, much as I hate to end this conversation, I have a long to-do list today. ‘Bye now!” And then walk away. One thing you don’t have to worry about is offending that person, or hurting his feelings. He gets over it pretty fast. Does it ever work to tell a person that he has no friends because he is arrogant, boring, annoying, and full of himself? Probably not. He’ll just figure you’re too much of a cretin to understand how wonderful he is. The bottom line here is to never allow these people to ruin your day. Smile. Be polite. Excuse yourself when you’ve had enough. And don’t waste time and energy thinking or talking about how aggravating they are. When you do that, you’re allowing them to control your thoughts and emotions, and giving them way more time than they deserve. Sorry I missed this thread last week. Sometimes life just gets too busy 🙂 I’m back on track today, so here we go. 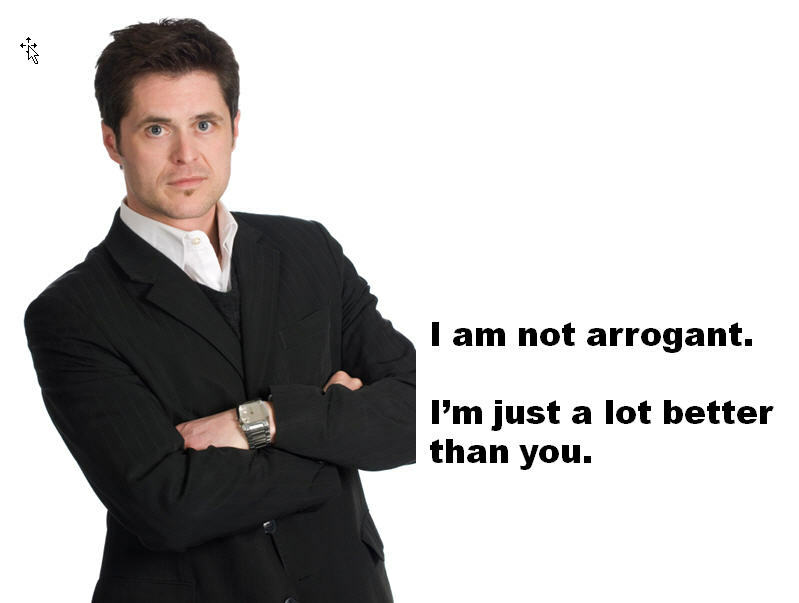 Today we’re going to take a look at how to spot arrogance and how to make sure you’re not misjudging someone. 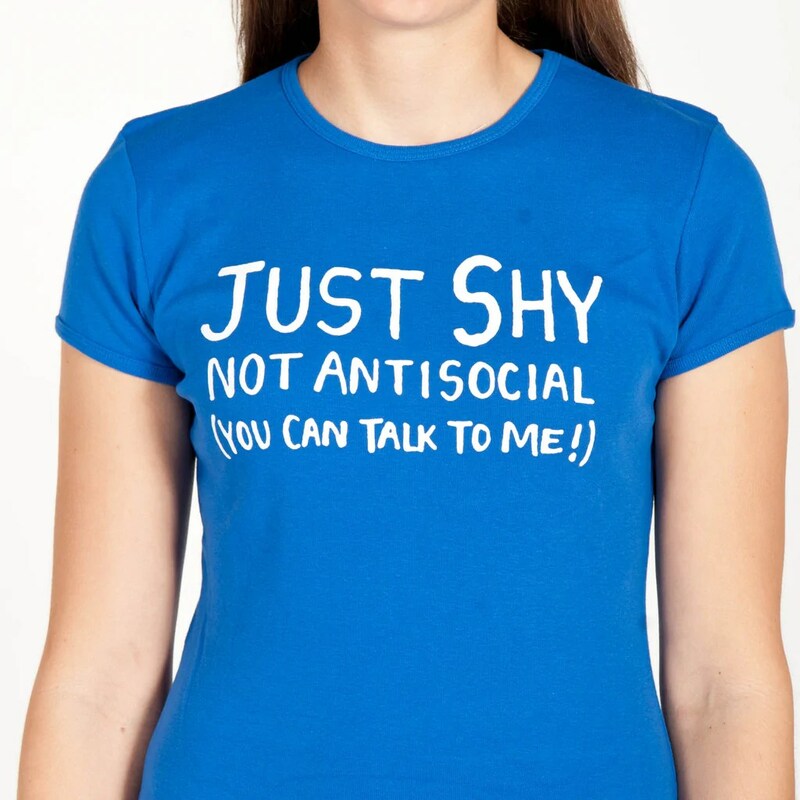 An interesting paradox is that sometimes people who are quite shy are mistakenly seen as being arrogant or snobbish. I’m not quite sure why this happens, but I know that it does because it has happened to me. • If you feel that your interests and needs are not being respected at all, this can be a sign of dealing with an arrogant person, especially where he or she insists that his or her way is the only way. Look for the person constantly saying that they are better than you and other people. It may be subtle or overt but you’ll certainly know of it. Consider how dismissive the person is towards you and your ideas or thoughts. Dismissive attitudes signal a belief in being better than others. Does this person put down the things you care about, especially in public? Does this person sound and/or act plain bossy? Listen for a tone of voice that indicates bossiness and a dismissive attitude. Does this person even notice when you are bored with the conversation? Arrogant people never notice this! Consider whether you’re included or excluded in decision-making with this person. Arrogant people rarely include others in decision-making because they’re certain that they’re right and already have the answers. Of even less concern is whether or not the decision impacts you. Does this person try to hang around with, work with, or conspire with people of high status? 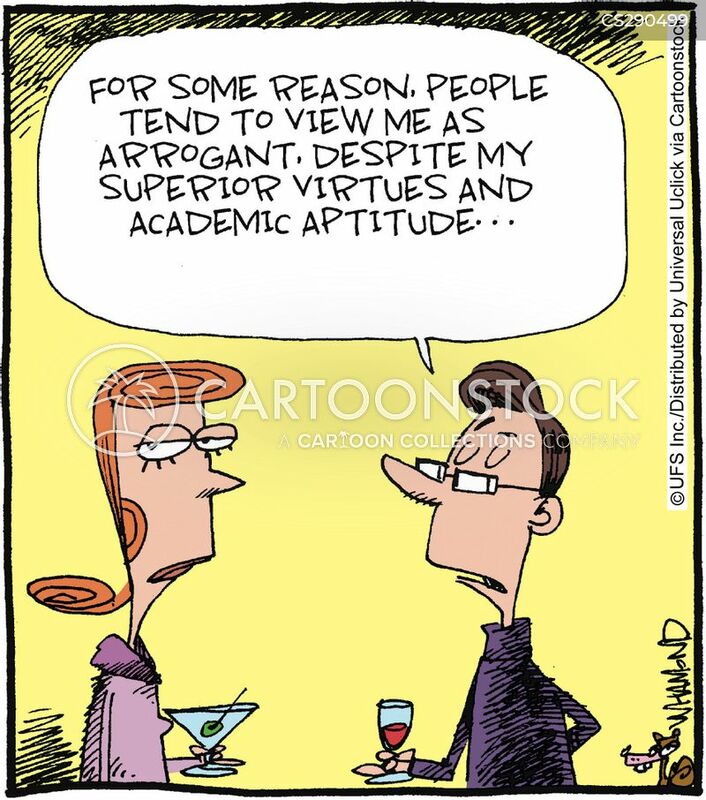 This is because the arrogant person believes he or she is only worthy of those with high status. 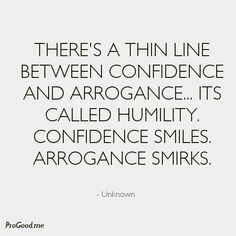 Sometimes, arrogant people are really very insecure. A person who seems to need to control, who talks of nothing but himself, who puts others down and mocks their opinions, could really be struggling with a strong sense of inferiority. It doesn’t make their behavior any more acceptable, but sometimes looking at an arrogant person from a different perspective makes their behavior more understandable. 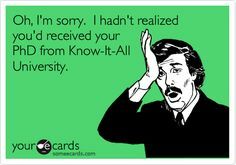 It’s not easy to put up with Mr. or Miss Know-it All. What you may not realize, though, is that those people just don’t see themselves that way. Often, they simply do know quite a bit about a lot of things, and they think they’re just contributing to the conversation. So here’s your perfect opportunity to do two things: Improve your listening skills, and teach the know-at-all how to let other people talk. We can all learn from others. Even the most brilliant among us can learn from those who are maybe less well-read, but they’ve learned the art of making other people feel important by listening respectfully without having to interject their own experience or knowledge. You know, the “I can top THAT story” person who really can’t wait for you to stop talking; or the “I know, I know” person who won’t let you finish because he wants to be the one to tell YOU all about it. Maybe these people aren’t really so much know-it-all as they are simply lacking in social skills. So be an example for them. You’d be surprised how insecure these people really can feel, under their annoying exterior. Sometimes, though, they’re so thick-headed that they really don’t get it, and that’s when you can be more active about helping them see the error of their ways. 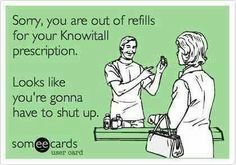 If all else fails, a little blunt humor may save the day. We all know them. We all have to deal with them sometimes, and none of us enjoy them. They don’t mind. They enjoy themselves. Arrogant people really aren’t too concerned about how you feel or what you think. They tend not to be aware of hurting or offending others, and if they do realize they’ve done so, they shrug and figure you had it coming. One of the best ways to cope with this “Me First, All The Time” character is to understand that he really is no better or no worse than you or anyone else. Fact is, we all have to use deoderant, take baths, and blow our noses. No one is above the neccessities of the human experience. Yes, there are those who have a higher intelligence than others. That’s a gift, if they use that intelligence wisely and with kindness. Otherwise, it’s just a pain in the neck. I met an arrogant man who was a resident in the nursing home where I was doing a year of practicum. Everyone dreaded going into his room because he was loud, demanding, angry, and overbearing. He literally had the staff jumping, trying to keep him happy. I was there in the capacity of a case worker. That meant that I went and talked with people, made sure they were comfortable, heard about needs they had, kept an eye on their mood and general well-being. When my supervisor assigned me to this man, she warned me that he was difficult and that if I didn’t think I could handle him, she’d give him to someone more experienced. I’ve never been more thankful that I wasn’t a kid fresh out of college when I did my master’s work. I was 52 by this time, and I’d been teaching school for a lot of years, reared my own brood, and dealt with a lot of orneriness. Experience really is a wonderful thing. The next morning, I had a message that Mr. Arrogant wanted to see me RIGHT AWAY!! So I went into his room, and he didn’t yell. He wasn’t happy, but he didn’t yell. Over time, we actually became friends, and I began to enjoy listening to his stories about his life. One time, he asked me why I had walked out on him at first. I said, “You know why,” And he grinned, and said he guessed I was just as hard-headed as he was. And that’s part of the answer for dealing with arrogant people. You have to be just as determined as they are to make things work, only without the haughty arrogance they exhibit.